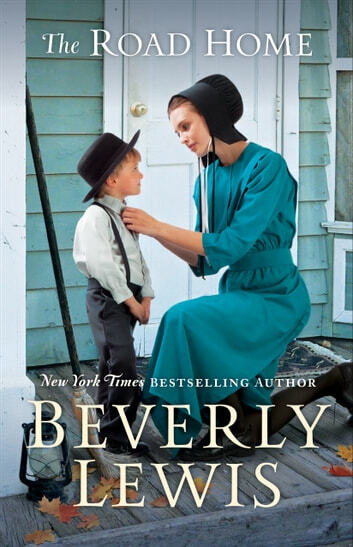 This is an absolutely fabulous Amish novel! Beverly Lewis is an award winning author of Amish fiction and I have been eager to read from her extensive collection. I was thankful to have been given the opportunity to read and review her latest release and began with very high expectations. I enjoyed learning about the Amish culture in the two different communities; Lena Rose’s hometown of Centerville, Michigan and her adoptive home in Lancaster County, Pennsylvania. The comparisons of the different traditions in these two Old Order communities were surprising to me. Including how the women wore their hair and the style of buggies used. The setting and culture depicted in this story, was by far my favourite part. Although The Road Home was an endearing story, it didn’t draw me in or captivate me like the other books I’ve read from this genre. The style of Beverly Lewis’s writing was much more stern than I anticipated, so I expected the story to take a more serious or tragic route than it did. Instead I found it to be slightly boring and drawn out. Unfortunately The Road Home wasn’t for me, however I am interested in giving this author another try. I hope that I will enjoy the next novel more. Sometimes location is a big draw for a book. I will read anything Beverly Lewis writes, but I was tickled pink to see that the novel starts out in Centerville, MI!! This is a place not far from me, and I looked for nuggets of familiarity. I was happy to see that the covered bridge, unusual for this area, merits a mention. I was also happy to see the inclusion of the “Blizzard of ‘78.” Possibly mistimed to fit the story, the blizzard is infamous around these parts for its ferocity and unusual intensity, even here in Michigan. Lewis has a warm, welcoming writing style that pulls the reader into the story and makes her/him feel part of the family or community described. It can be easy to adopt the attitudes of those around you. Indeed, immersed in the world of Lena and her family, I first felt love; then heart-wrenching sadness; a strong yearning for loved ones, and desperation borne of that love. I loved the way that Lena decides, miserable as she is, to “bloom where she is planted.” She has such a positive effect on others around her, even though her heart is breaking inside. In her own gentle way, Lewis weaves her faith message seamlessly throughout the book. It never seems forced, only natural, presented in small, tasteful bites. ...”Lena wondered if she ought to pray about something so minor. Cousin Mimi likely would. She talks to God about practically everything...” If you like Christian Amish stories recounted by one of the best, pick up your own copy of Beverly Lewis’s The Road Home. I received a complimentary copy from the publisher and NetGalley. This in no way affected my opinions, given voluntarily, for which I am entirely responsible. Also, I am not related to the author.